1000FT 4 Pair Plenum Comtran Corp. Cable. Solid Bare Copper Conductors. Brand Marked Comflex Plenum Insulation. Comflex Plenum Jacket. Meets Cat 3 Electrical Requirements. Used for telephone system wiring, is the mandatory minimum cable specified by the FCC for new home constructions in order to ensure broadband capabilities. 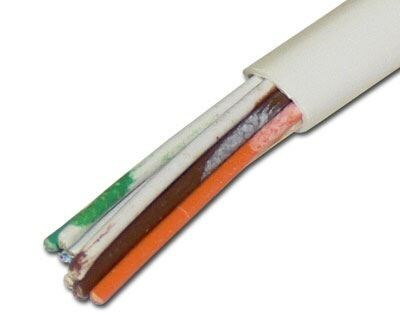 Cat 3 cable can be used for network installations, although for this purpose it has been abandoned in favor of higher speeds produced by the newer Category 5e and Category 6 cable.